A must-see performance in Seoul – witness the best-selling performance from 2014-2016! Have the chance to be picked to perform on stage too! Super cool show! The artists are very talented, combining with sound and light effects. The interactions with audiences are good too. Recommend to watch while in Seoul. 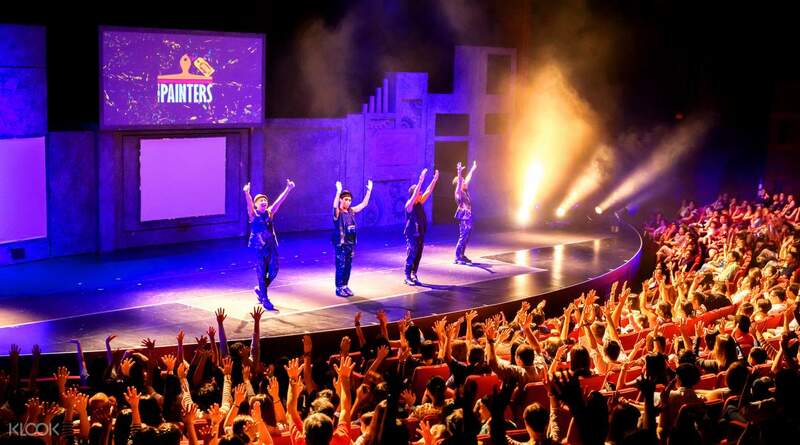 Hitting the stage in 2012 and since performing in most major global cities, 'The Painters: Hero' is a one-of-a-kind performance fusing world-renowned Korean entertainment with talented artists. 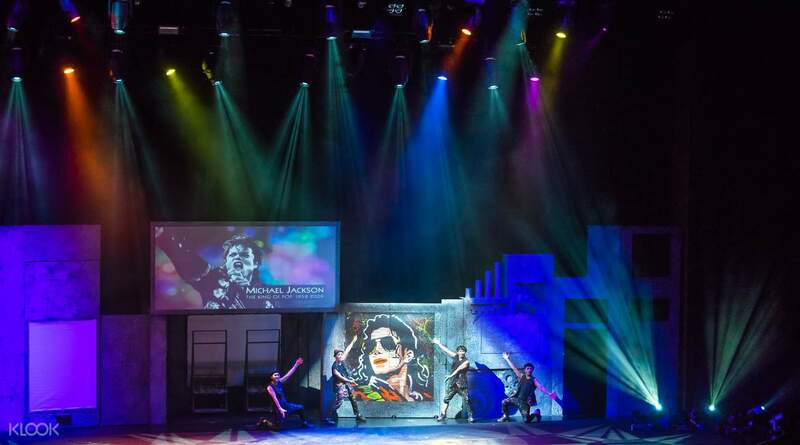 This utterly innovative idea showcases the mind-blowing skills of live illustrators with incredible visual effects, alongside a witty blend of mime, dance and comedy. Using 10 different art techniques - everything from action drawing to speed drawing to a piece created from 200 Rubik's cubes - the artwork represents ‘heroes' from history, music and comics. Watch as incredible images unfold before your eyes, guess who is being brought to life, and even take the chance to get on stage yourself! Watch in awe as performers conjure up masterpieces in minutes! l like the show a lot. it is creative, funny, and interactive. 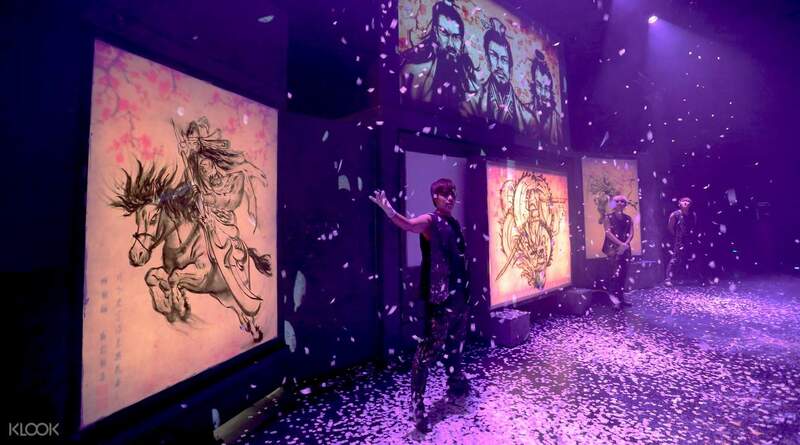 It is a surprise and delight to see how paintings csn be done so spontaneously with music and dance. l like the show a lot. it is creative, funny, and interactive. It is a surprise and delight to see how paintings csn be done so spontaneously with music and dance. Amazing talent showed by the four performers. A good mix of art and comedy. Venue is easy to find and is next to the train station. Redemption process is fast and easy. Seats are already allocated to your booking before the box office opens. Amazing talent showed by the four performers. A good mix of art and comedy. Venue is easy to find and is next to the train station. Redemption process is fast and easy. Seats are already allocated to your booking before the box office opens. Super cool show! The artists are very talented, combining with sound and light effects. The interactions with audiences are good too. Recommend to watch while in Seoul. Super cool show! The artists are very talented, combining with sound and light effects. The interactions with audiences are good too. Recommend to watch while in Seoul. Wasn't expecting much prior to attending the performance since I haven't heard of it before and it isn't as famous as the other Korean performances like Bibap and Nanta. Thought it was going to be yet another typical Korean slapstick, but I was wrong. This is good. 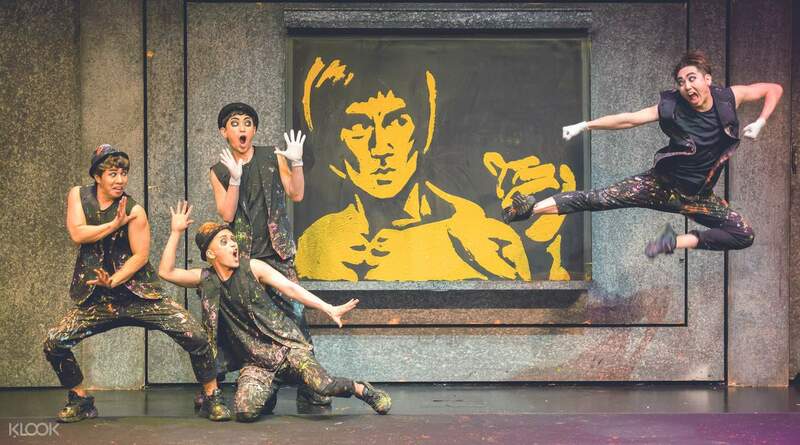 These guys can dance, can draw (very well in fact)... creative and well-timed choreography and synchronisation. Definitely recommend this over Nanta, if you can only choose one. Bibap is another good one to catch. Wasn't expecting much prior to attending the performance since I haven't heard of it before and it isn't as famous as the other Korean performances like Bibap and Nanta. Thought it was going to be yet another typical Korean slapstick, but I was wrong. This is good. These guys can dance, can draw (very well in fact)... creative and well-timed choreography and synchronisation. Definitely recommend this over Nanta, if you can only choose one. Bibap is another good one to catch. An excellent and special show that never watch before. The four teenagers provided you much fun and pleasure. The art work are very attractive. It is worthy to watch again. An excellent and special show that never watch before. The four teenagers provided you much fun and pleasure. The art work are very attractive. It is worthy to watch again. The show is really good. Oppa-s are so funny although they didnt talk. I like the part of interacting with auduence the most. Also, the ticket Klook provide is in the first few row. I can enjoy the show clearly! The show is really good. Oppa-s are so funny although they didnt talk. I like the part of interacting with auduence the most. Also, the ticket Klook provide is in the first few row. I can enjoy the show clearly! Hassle free to redeem ticket at the box office ticket counter. The instructions given is so clear than you will never miss. Thanks to KLOOK that me and my mother had a great time enjoying the show at great seats assignment with so much fun and entertaining. Hassle free to redeem ticket at the box office ticket counter. The instructions given is so clear than you will never miss. Thanks to KLOOK that me and my mother had a great time enjoying the show at great seats assignment with so much fun and entertaining. Fun to watch the amazing Korean male painters as they go about dancing, painting and entertaining the guests. No language barriers. Go if you want to experience something different. Fun to watch the amazing Korean male painters as they go about dancing, painting and entertaining the guests. No language barriers. Go if you want to experience something different. Q: Where are the seats for my tickets? Can I find out where in the theater we will be sitting? A: Seating is assigned automatically by the system and will be distributed sequentially at the beginning of the show. Your best chance for sitting together is to make sure all the bookings are made on a single order.